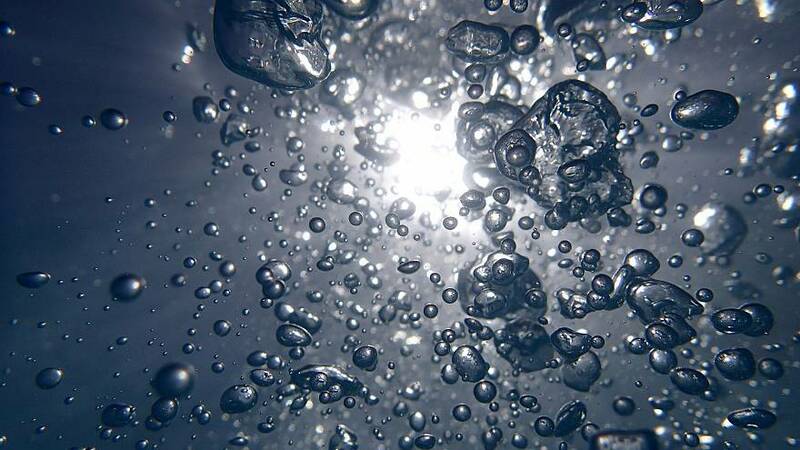 Will water replace fire in human cremations? On Sunday (October 15), California Governor Jerry Brown passed a bill that makes it legal to liquefy dead bodies. The new process, known as water cremation or alkaline hydrolysis, is already legal in 14 other American states (Colorado, Florida, Georgia, Idaho, Illinois, Kansas, Maine, Maryland, Minnesota, Missouri, Nevada, Oregon, Vermont, and Wyoming) and in three Canadian provinces. No European countries are known to openly accept this practice yet. Water cremation is known to be a sustainable method to dispose of a dead body. Caitlin Doughty, mortician and author, has explained that during water cremation the body goes in a receptacle together with high-pressure water at 160 degrees Celsius and with an extremely alkaline substance. The process does in 90 minutes what would take decades to happen if the body was buried. “It’s almost like a flash decomposition”, said Doughty. The liquid is neutralized before being released down the drain. What remains in the container are bones and any implants that person might have had. The bones are then dried and crushed into an ash-like powder. According to Doughty, the method is better for the environment than cremation and burial. In cremation, more than 219 gasses are emitted into the environment and a lot of natural gas (6000 cubic feet) is consumed. In burial, wood, cushioning, metal, cement, embalming used are seen as a waste for the planet, as is the amount of space a vault or tomb takes up. 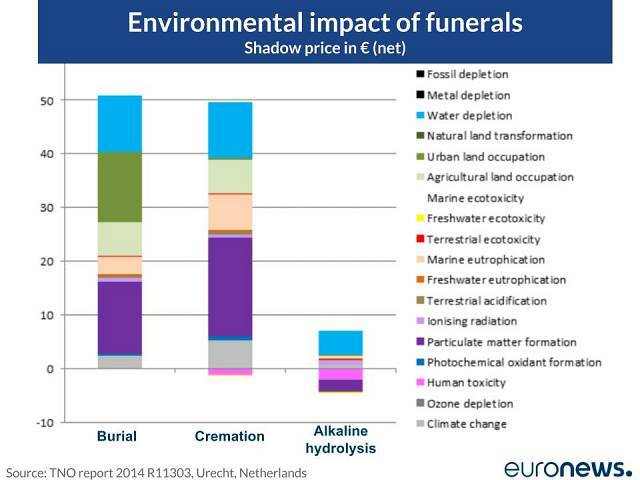 The graph below shows the environmental impacts of different funeral practices, including water cremation. Alkaline Hydrolysis experts have also claimed that its waste by-product, the liquid solution, may be reused as a fertiliser and is harmless to the water treatment systems if it goes down the drain.